The initial court date on the citation was set for January 16, 2009 but was delayed until February 17th. In lieu of appearing, I submitted a written plea of “not responsible” along with a Motion for Pre-Hearing Discovery. I’m now waiting for a new hearing date to be set by the Pima County Justice Court along with the court’s ruling on the discovery motion. Normally, pre-hearing discovery isn’t allowed for civil traffic infractions but court rules make an exception for extraordinary circumstances. 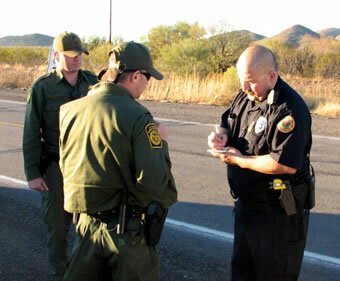 The extraordinary circumstance justifying discovery in this case are discussed in the motion and if granted, will enable me to pursue discovery through the tribal police and U.S. Border Patrol.